Depending on the level of experience you have operating your chosen category of plant machinery we have two courses you can attend. Please remember help and advice is available on 0800 130 3225 if you would prefer to speak to one of our advisors. CPCS Blue CardThe CPCS Blue Card Course is for you if you are looking to add extra items of plant to your existing blue CPCS card or looking to renew a blue CPCS card that has passed its expiry date. As a holder of a Blue CPCS card, you should have the experience and skills that mean you need only attend our two-day CPCS Blue Card course. The course content is designed to make sure you are ready to pass the stringent two-part CPCS theory & practical test. The CPCS Blue Card course is a two-day course. As an experienced operator, less time is taken briefing you on the practical elements of the CPCS test as you will have experience of how to drive and operate the machine you are going to be tested on. Nevertheless, your trainer will give you a full explanation of what driver/operator skills you will be tested on and guide you through the practical test area. Your trainer will ensure that you are fully familiar with the machine you are being tested on and the course which you will be tested on. Prior to attending the course, we will send you a copy of the CPCS Theory test questions in order that you can fully prepare yourself for the test. To be eligible to attend the CPCS Experienced Worker Blue card course, candidates must have passed the CSCS Health Safety & Environmental test at operative level, within the within the last two years. If you are not sure when you last passed the CSCS H&S test call us on 0800 130 3225 and we will be able to tell you, or if you want to book a Health & Safety test again you can call us for advice. 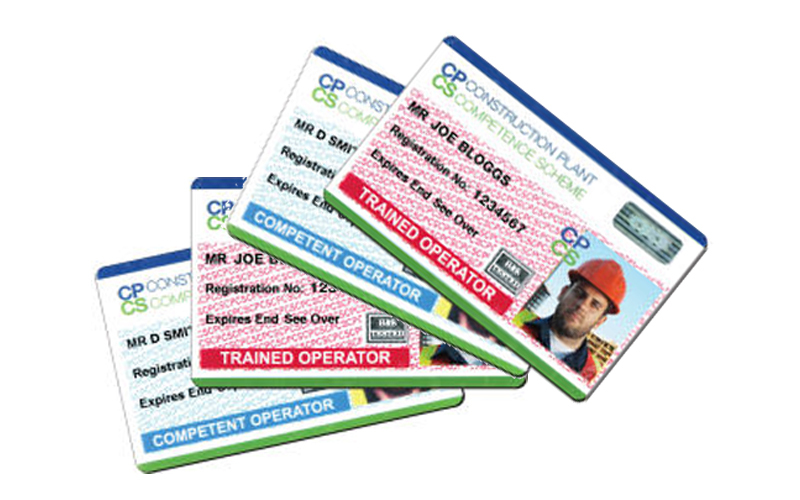 On successfully passing the CPCS Blue Card course, you will be able to add the additional category of plant machinery to your existing Blue CPCS card or renew you expired CPCS Blue card. We will deal with your CPCS card application process for you and please remember if you are working for a construction related company (even as a sub-contractor) that company may be able to access grants from CITB that could support the cost of your course. We can talk to your employer about this on your behalf and arrange, if necessary for the grants to be collected.